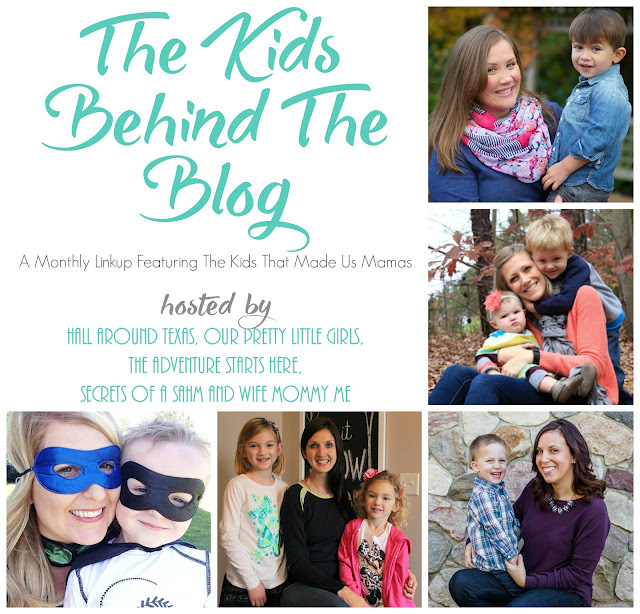 It has now been a few months since we started "The Kids Behind The Blog"!!! Noah really loves that I ask him questions each month and that I record our "interviews". I feel like this link up came at the perfect time for us. Noah just started talking more and I feel like these monthly interviews are really showing such a progression in his speech. I'm also obsessed that we can now have real conversations with each other. I've even borrowed part of Tawnya's nightly routine by asking Noah before bed what his favorite part of the day was. Often times it's whatever big activity we had that day, but sometimes it's as simple as "bath with daddy" or "coloring". Also part of our nightly routine is talking about what we are going to do the next day. The night before Mother's Day, I was telling Noah all about our breakfast and dinner plans, but also that I'd be asking him some questions for our monthly interview. He was so eager that he wanted to do it right then. So I improvised and made up a few questions on the fly... like what his favorite TV show and toys are. He then told me he had some questions for me... my favorite tv show, toy, and store! I just love that he loves this new tradition as much as I do! 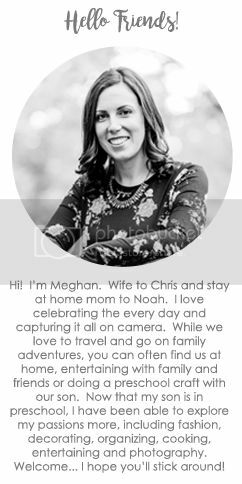 As much as I love asking Noah the questions each month, I also have so much fun reading what your and my co-hosts' (Crystal, Beth, Jessica, Stephanie) kids have to say each month! And in case you are new to the linkup, here's a little background information. 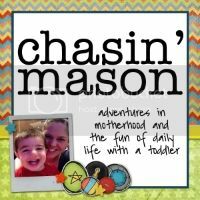 We came up with this idea because we are such huge fans of Betsy's "The Guys Behind the Blog" and wanted to create something similar to do with the "kids that made us mamas". Each month, we have a set of questions to ask our kid(s) and we will share their answers on our blogs. We sure hope that you will do the same and link up with us each month! We can't wait to read what your kids have to say! What is something I always say to you? How do I make you laugh? What do you enjoy doing with me? Since this month's questions were all about moms, I thought it would be fitting to record our interview on actual Mother's Day. And just like in the past, I thought it would be fun to record Noah answering the questions. But this time, Noah said he had some questions for me as well (just like the night before), and he wanted to go first! It's not every day I get interviewed on camera... check it out! And as usual, I have a few notes regarding the video and some of Noah's answers. I absolutely love that Noah wanted to interview me this month too! And I find it hilarious that he made us switch seats half way through because the interviewee had to sit in the corner spot! A few of Noah's answers really confused me. Like what makes him laugh... I'm still not sure how Home Depot makes him laugh!!! And since I've watched the video back, I realized that when I asked him what he likes to do with me, that he really said "Then it's daddy's turn". He didn't really answer the question, but instead was telling me that he wanted daddy to ask some questions next. First it was Noah, then mommy, and then daddy. Even though Noah's speech has improved a lot, there are still many times where we don't fully understand what he's saying. I'm just glad he doesn't get frustrated and upset with us when it happens. I also can't help but laugh that he got up halfway through to go get a Thomas train and the loud crash when the Thomas carrying case fell to the floor. This is real life people! I'd love for you to share what your kids had to say this month. Just grab our button and link up at the bottom of the post! 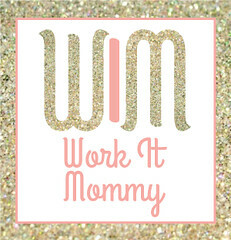 Also make sure to stop by Crystal, Beth, Jessica, and Stephanie's blogs to see how their cute kids answered! What do you like doing with Daddy? What was Daddy like as a little boy? What does Daddy do at work? What is your favorite memory of Daddy? How fun is this! You have to wonder what is going on inside their little heads to come up with their answers. This was awesome. Thanks for the party. SO DARN CUTE! I'm impressed you knew Thomas names - I called them all Thomas....Ha! Thanks for hosting! That is so cute that he wants to interview you too! Oh my goodness this is SO cute. The student became the teacher. Baha ha! Hugs make me happy to and I love that just saying Home Depot made him laugh. Love the video! So cute that he wanted to ask you questions. LOVE it! You have the most precious and adorable family. So hilarious that Home Depot makes him laugh. Maybe there is something that happened while y’all were there that he remembers? Too cute! He is so cute! His little voice is just adorable! And I love that he had questions for you! What a smartie! I love his sweet little voice. Oh these boys are just too much for me. He is absolutely adorable and so sweet of him wanting to ask you questions! I LOVE that he wanted to interview you too and then made you guys switch seats! SO sweet! That is so sweet that he wanted to interview you, too. Home Depot doesn't make me laugh at all...in fact quite the opposite. It makes me break out in hives because I know I am going to have to come back no less than five times while working on a project because either I forgot something, or I did something wrong. Being an adult is fun. Thanks for co-hosting this linkup. It's one of my favorites. Weekend Fun | Delaware, a Wedding, and the Zoo!